Description: Dairygold Co-Op Society Ltd is Ireland’s largest farmer-owned dairy business and the country’s second largest dairy processor. The company has a turnover of €800 million from its worldwide sales. Dairygold has three distinct business units; Dairy which processes 18% of the Irish milk pool from its 2,900 suppliers, Agri-Business which is Ireland’s second-largest agri trader and Retail (Dairygold owns 32 regional stores and seven co-op stores). Dairygold was established in 1990. 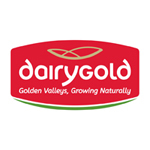 Dairygold employs 1,204 people.